Find out how much your trade-in car is worth at Tanner Motors. This fast and no commitment valuation is powered by Kelley Blue Book, The Trusted Resource, and ensures that you get a fair price! Our team can help you find a new vehicle that fits your budget. Bring your old car to our showroom near Aitkin today! After you’ve figured out your trade-in value, you can explore our inventory of new and used vehicles online to find your next vehicle. If your trade-in doesn’t cover the value of your new vehicle, you can turn to our financing department to help you cover the remaining amount. Trading in a car with a loan balance might seem tricky, but we can help you decide if it’s worth it. Contact us and we’ll go over the basics. If you’re ready to make a trade, bring your car to Tanner Motors along with the title, auto loan payoff information, registration, and key. We’ll inspect the vehicle and finalize the trade-in amount. 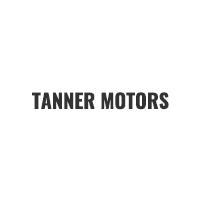 Want to learn more about trading in your car at Tanner Motors? Get in touch with best car dealership in Brainerd at %%di_phone%% today!